"Don’t take training and racing too seriously, my best results in both always come when I am enjoying myself"
Role model: Oliver’s role model is none other than Kelly Slater as he believes anyone who’s been at the top for as long as him, deserves respect. Oliver’s sporting career began when he entered a local triathlon at the age of 16, doing much better than anticipated. This opened his eyes to the world of triathlon, and even though after this race, Oliver took a few years out to travel internationally to ski and surf, he still returned to the sport as it was his true passion. Oliver embodies the racer lifestyle and persona through always believing the harder he works the luckier he will get. He also truly feels placing where he does as one of his greatest achievements to date and will only help him will confidence and entering the elite competitions. 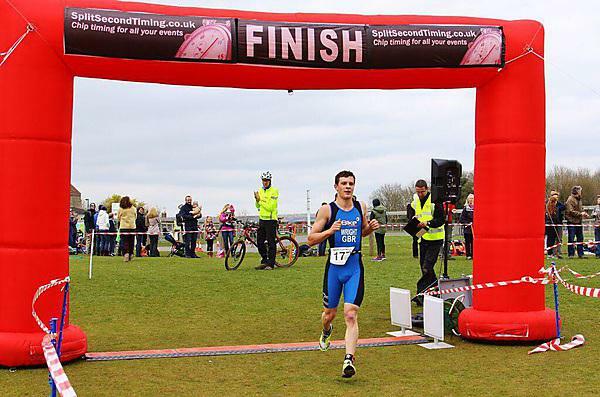 The financial aspect of the Sporting Excellence Scholarship has been imperative to Oliver as it has allowed a new bike for his 2014/15 season as well as having the access to various development and support within the Nancy Astor Sport Centre. This is now proving results by enabling Oliver to place and competing in higher level competitions. "I always feel very patriotic and proud when representing and racing for Plymouth University"
"I do have a lot of academic work to do, but still find enough time to train. Fitting it before, after and around lectures through the week and at weekends"
Oliver feels truly supported, enabling him to afford elite level equipment, as well as helping him develop physically through Strength and Conditioning, nutritional advice and gym membership. Throughout the year Oliver has improved as a scholar with us, making his first appearance in elite competitions this year, and will only continue to develop here as he has been once again accepted onto our scholarship scheme.